An authentic early 60’s pig with full hips, narrow nose, and medium tail width. 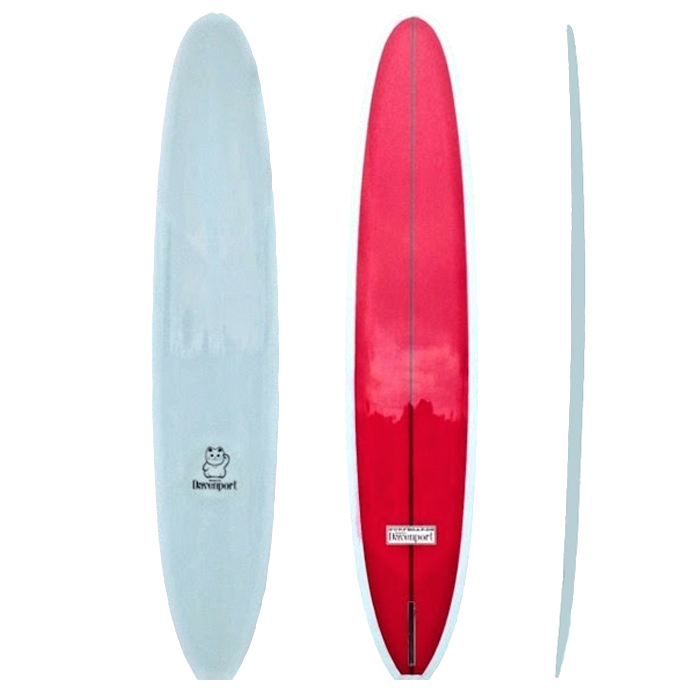 The pig has neutral 50/50 rails all the way around with long clean rocker with some modest tail kick. 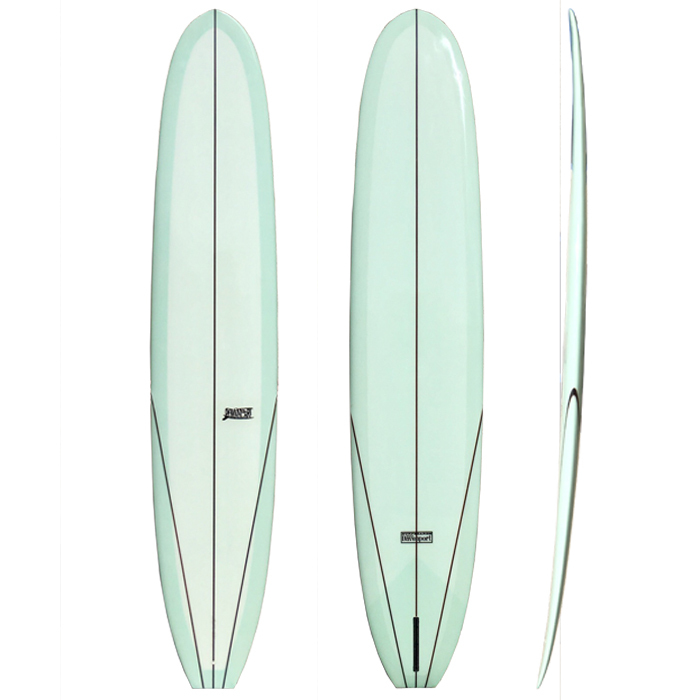 Super long noserides, nasty drop-knee cutbacks, and loads of style come standard with this model. 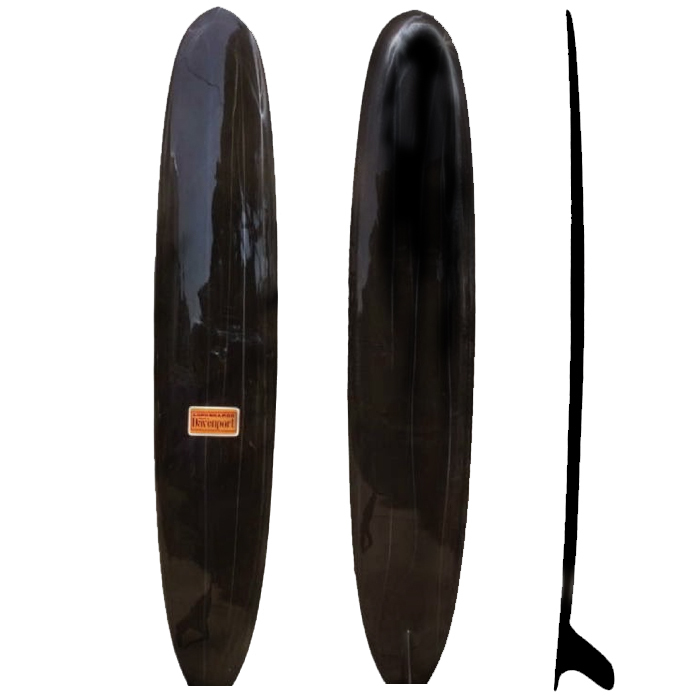 Tail 17″ – 17 1/2"
Also referred to as the "Game Changer" by team rider Shawn O'Brien, this is functional midlength V bottom is designed to turn and trim. Its inspiration comes from Mike Purpus' V Model from the transitional era. The stock model offers a little extra volume than many v bottom designs, which keeps it user-friendly and forgiving.